It’s almost Valentines day and time to do some DIY Valentine’s Day crafts. 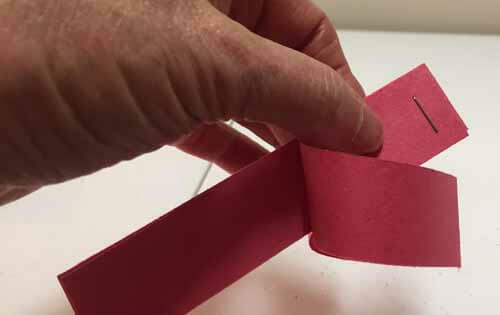 Making a simple paper heart garland is a simple way to decorate for Valentine’s Day. This is a kid's friendly craft. 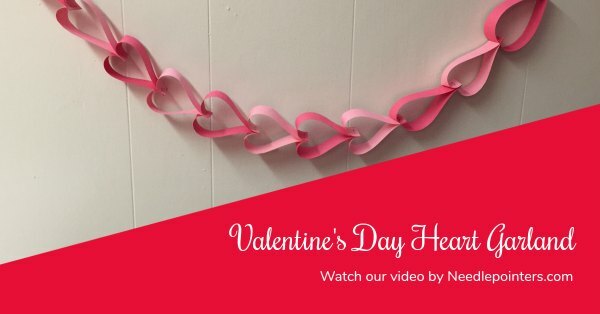 Watch this video and read on for a photo tutorial with step-by-step instructions to see how to make heart garland. Do you want other craft ideas kids can make for Valentine's Day? Our Kid's Valentine's Day Craft page has lots of free projects. 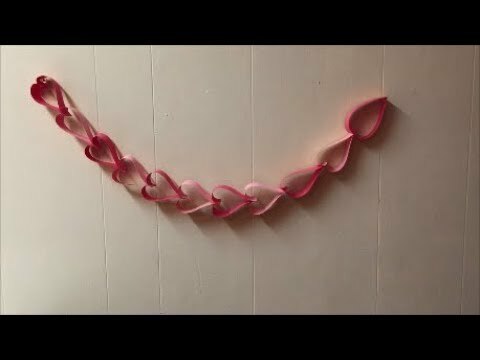 Click to watch the How to make a Heart Garland for Valentine's Day video in Youtube. 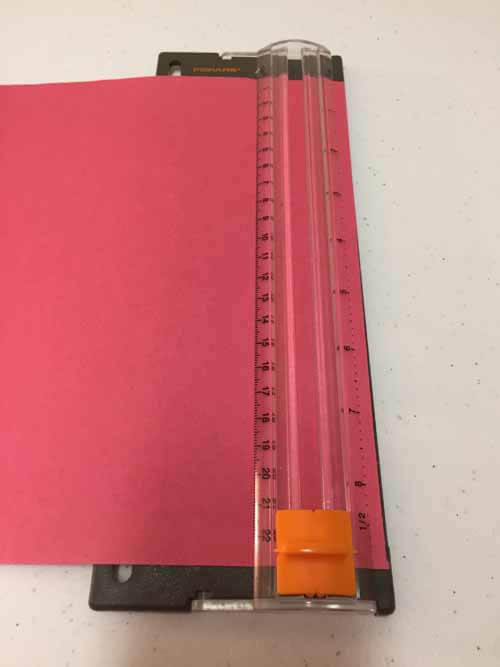 Start to cutting 1” paper strips from constructions paper or card stock with a paper cutter or scissor. Fold all the strips in half. 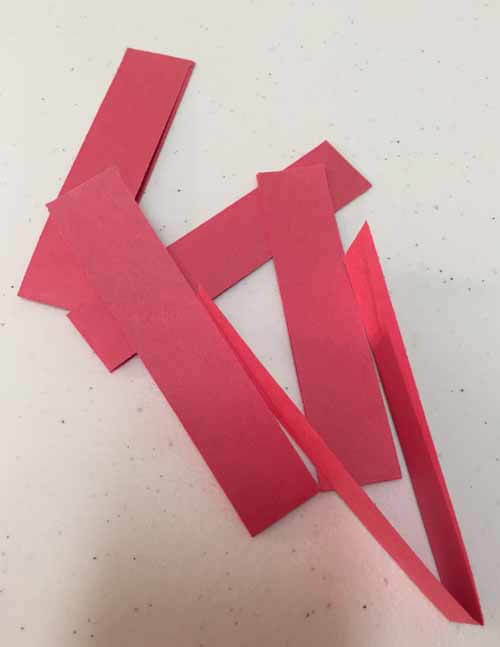 To make the garland, take the first strip, place the strip with the fold end down and the cut ends facing up. You will be making a heart by inverting the two cut ends. 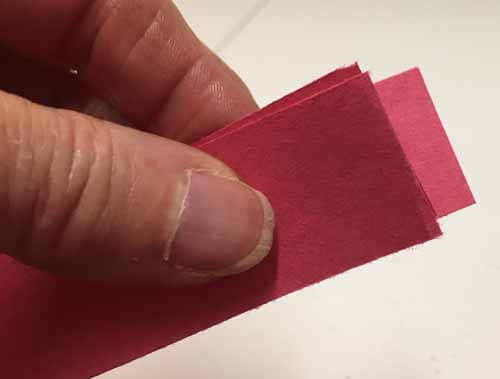 Next, place the folded end of the next strip evenly with the one of the cut ends of the previous strip. Invert all the ends and then angle the ends to the side. With a stapler, staple the ends together. Little hands may need help with this. You have made the first heart. 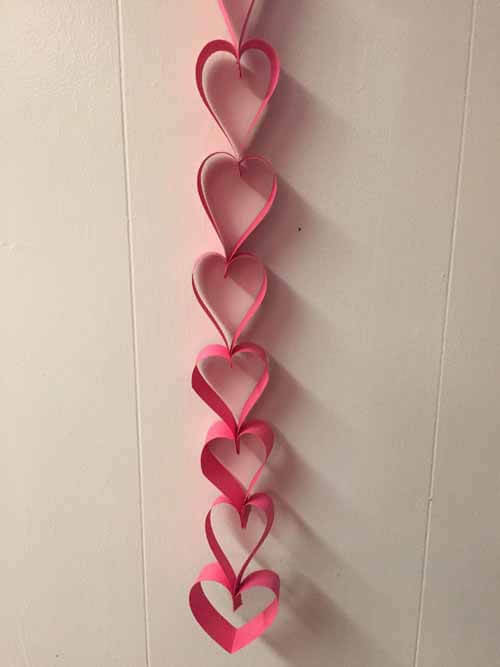 Continue adding strips to make hearts until your garland is the length you want. 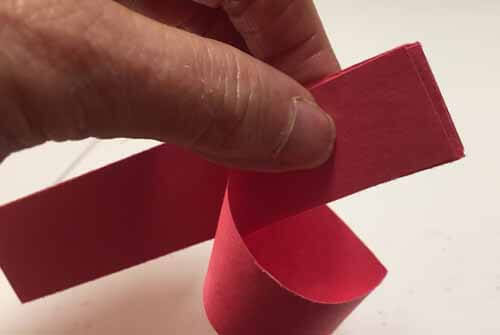 This budget-friendly craft is simple enough for even youngsters to do. 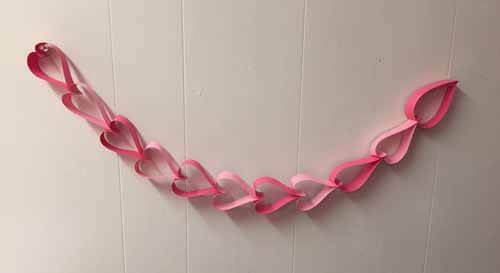 Have fun decorating your home with heart garland for Valentine's Day!